Comprehensive Health Center offers patients with work-related injuries a team of medical professionals that are well versed in providing coordinated medical services. We pride ourselves in offering our patients the highest caliber of..
Our office now sees medical cannabis patients. 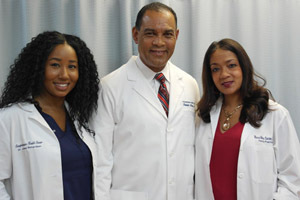 Under the leadership of Dr. Rudolph Moise, Comprehensive Health Center offers primary care services for the entire family. Our goal is to offer the highest level of quality care to our..
Comprehensive Health Center accepts private insurances including all the PIP Carriers, HMOs, PPOs, Medicaid and Medicare. Listed below are some of the major insurance plans accepted by Comprehensive Health Center.. In the event of a medical emergency, call 911. Patients with other medical problems should contact Comprehensive Health Center directly during regular office hours. In the event that a problem occurs after office hours contact..
Dr. Rudolph Moise has spent his life dedicating himself to the principles of family, scholarship, entrepreneurship and philanthropy. He used his vast experience and fortitude to create opportunities in his community. Dr. Rudolph Moise has always believed that America is the land of opportunity. After immigrating to Chicago from Haiti as a teenager, he completed his college education and then his Medical degree at the Chicago College of Osteopathic Medicine. He went on to obtain a Juris Doctor (Law) degree and a MBA from the University of Miami.